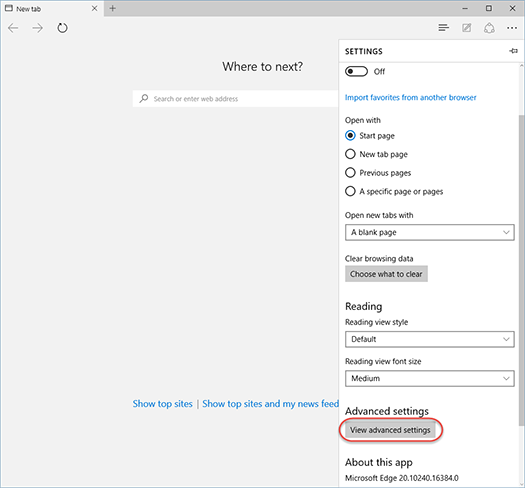 In Windows 10 you don’t need to install separately flash player like you used in previous Windows versions or browsers like IE/Chrome/Firefox. Now flash player is integrated with Microsoft Edge, the replacement of Internet Explorer. Recently a new (yes, yet another one) vulnerability has been discovered for Adobe Flash Player. In order to update it you can’t go directly to Adobe website but rather it will updated with Windows Update. Remember: Flash is a buggy software. Update it but try to keep it disabled unless you really need it (most cases you won’t!). I hope this information is useful. Buy me a coffee? 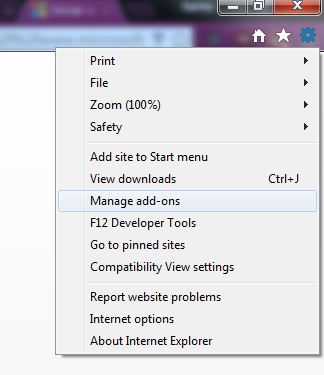 In IE 10/11, go to the upper right corner and click on the Tools Menu (cogwheel icon). 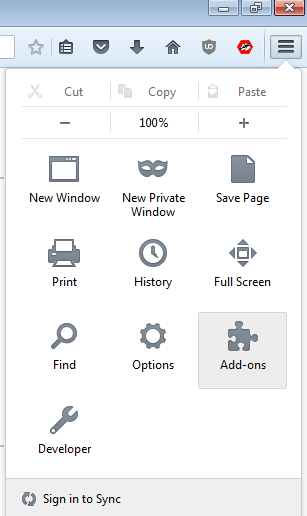 Click on Manage add-ons. In the bottom left change the “Show” options to “All add-ons” and look for Shockwave Flash. 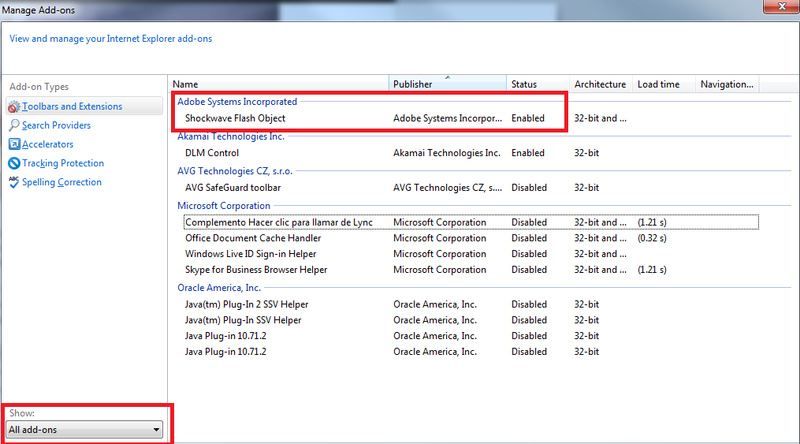 Right click on the “Shockwave Flash Object” and click on Disable. Remember: Flash is a buggy add-on. Update it but try to keep it disabled unless you really need it (most cases you won’t). Flash is phasing out. Every day fewer websites run with Flash since they have replaced it with HTML5 and other formats. Why? Among other things Flash is VERY insecure. For example, there are a lot of flash ads that right now are being injected with malicious code in order to infect everybody visiting certain sites with those ads. You don’t have to click on anything, you don’t have to download a file, you’ll be infected just by getting there. Today as basically any other day new Flash vulnerabilities came to light; you can see the full list https://www.cvedetails.com/vulnerability-list/vendor_id-53/product_id-6761/Adobe-Flash-Player.html. Vulnerabilities still unpatched (0day) could potentially allow remote access to your computer and data. If you don’t use flash it’s best to disable it, but if you need it from time to time (certain websites and devices still only use Flash), set your browser to “Ask First” and update to the latest Adobe Flash Player Version https://get.adobe.com/es/flashplayer/. Or if you want the long and click-y version, click on the upper right menu and click on Settings. Click on that option, it will show the same information that on Figure 1 above. You’ll see an option for Flash, click on it. If you want Chrome to ask before running Flash make sure your setup looks like the picture below. This picture shows that Chrome is allowing sites to run Flash but also to ask before running it on a website. 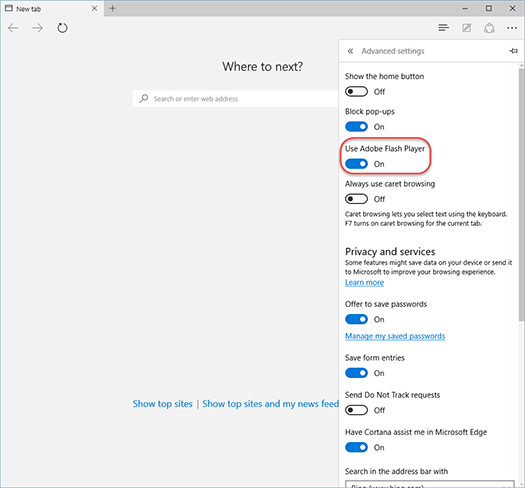 This window also has the option to block and allow flash per website, either manually or if you selected “Ask First” it will remember your choice of Allow/Block for individual sites. On the left side menu, click on Plugins Search for Shockwave Flash or Shockwave for Director (Annoyingly this was the previous name for the Flash plugin). Here you can choose “Ask to Activate“, which in essence would make Firefox to ask to activate Flash in case a site needs it. (See Figure below). Nowadays, this would be rare, since most Flash on the Internet is in ads, not actual content, and even sites who use Flash have an alternate version without it. So you can disable Flash for good, selecting Never Activate. You will see something like this in a web page which only uses Flash. My personal recommendation is to disable Flash since these vulnerabilities are recurrent.